Wiedner & McAuliffe is the Midwest’s leading workers’ compensation firm. That’s not puffery, that’s a fact we can substantiate. We don’t make claims about our skills, service, or success we can’t prove ― not in administrative hearings, not in court, and not on our website. That’s not our style. We’re not “fast,” we’re faster. We’re not “service oriented,” we’re better. We have the data to prove it. We continuously measure our results. We compare ourselves to the competition in how quickly we get to final resolution. So, when we say we’re faster, that’s not puffery, that’s fact. And we work hard on that particular metric because it’s critical to our clients’ business success. If it’s important to them, it’s important to us. So, we meet, we measure, we track, and we push. We don’t simply respond, we initiate ― we move your files. We do not view your files as our inventory. Our goal is to get you to the finish line and achieve a resolution as quickly, efficiently and cost effectively as possible. Once clients see how differently we operate, they want to expand our relationship. Of course, it’s not only about speed, it’s about quality. Anyone can get a fast result if they simply roll over. At Wiedner & McAuliffe, we fight the good fight, and clients tell us that we continuously get them great results. They contrast the quality of our work product ― our analysis, arguments, and outcomes ― and say we offer a superior product. Clients stay and grow with us. Our clients’ overwhelming satisfaction with our service model is making us the region’s fastest-growing workers’ compensation practice. During the recent recession, when most firms shrank, we grew by 60%. We also handle the full range of sophisticated insurance defense and civil litigation. Our civil litigation team has some steely-eyed trial lawyers you’d definitely want defending you when it’s all on the line. Known for handling high-stakes, high-profile litigation, they are poised to aggressively protect their clients’ best interests. As skilled negotiators, that likewise means knowing when to settle and avoid costly litigation. If you’re already a client, thank you for your trust. If you’re open to adding another law firm to your mix, call us. We’d be glad to show you how our service model will work for you. Wiedner & McAuliffe was founded in 1973 by Frank J. Wiedner and John P. McAuliffe, two men who loved the practice of law. They built a firm that felt like family, full of hard working people devoted to providing excellent legal work to our clients. Many of our employees, from partners throughout our administration, have been with the firm for more than 20 years. When you choose to work at Wiedner & McAuliffe, you join a legal team that becomes part of our clients’ team. We pride ourselves on our commitment and conformance to clients’ guidelines and specific expectations for the attorney-client relationship. If you are genuinely interested in a collaborative, team first work environment, then you will thrive with us. While we have grown tremendously throughout the Midwest, we haven’t lost the warm, collegial atmosphere our employees appreciate. We enjoy casual Fridays, themed office-wide holiday celebrations, and have excellent benefits. Contact us to see if Wiedner & McAuliffe is the firm for you. We believe an inclusive environment of collaboration offers our attorneys the opportunity to best serve our clients’ business needs. We understand that the fresh perspectives of a diverse team allow us to creatively tackle even the toughest litigation matter. It’s in our DNA to embrace different backgrounds, and promote equality and mutual respect. Wiedner & McAuliffe is proud of its commitment to recruiting, retaining, and promoting diverse employees. We value each individual’s perspective, enabling our employees to feel comfortable being themselves. In doing so, we enjoy a firm culture that inspires innovation and creativity. These principles are a foundation of our firm, and strengthen our ability to work as a team providing clients with the best legal services available. Our Diversity & Inclusion Committee meets regularly to discuss ways to promote and encourage continued awareness. The members of our firm frequently mentor our younger attorneys to ensure inclusion is felt at all levels. We pride ourselves on the retention, development and access to leadership positions for our women. Wiedner & McAuliffe has grown to nearly 75 attorneys, 44% of whom are female. We are proud that 45% of partners at the firm are female and our executive management roles are all held by women. Please contact Catherine M. Levine, Chair of our Diversity & Inclusion Committee, or James W. Stevenson, President, for more information. Wiedner & McAuliffe believes in supporting the communities in which we live and work; it’s a cornerstone of our foundation. 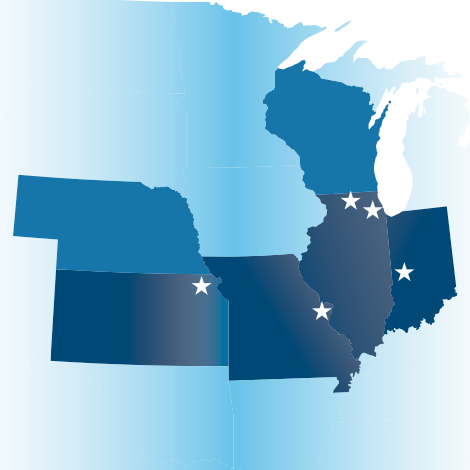 We devote our time and legal experience to many different organizations throughout the Midwest. Our attorneys strive to deliver mentorship and support to the underserved, and participate with law-related organizations, non-profits and community organizations. We have supported Providence St. Mel School for over a decade by serving on their board of directors. The school has a more than 30 year track record of sending 100% of its graduates to four year colleges. Through our involvement and fundraising, PSM continues to be a safe haven for its students on the west side of Chicago. Wiedner & McAuliffe was an early partner of Legal Prep Charter Academy, a free, open-enrollment public high school with a law themed curriculum in the West Garfield Park neighborhood of Chicago. Participating since 2012, our attorneys mentor individual students on a monthly basis during the school year. The firm is actively involved with students at Cristo Rey Jesuit High School, providing tuition assistance as well as welcoming them into our office as interns. The internship role gives the students an opportunity to enhance their professional skills and get an introduction to the legal world. Below are some of the other organizations our firm proudly and regularly supports.